Diabetic retinopathy is a complication of diabetes caused by high blood sugar levels damaging the back of the eye (retina). If left untreated it’s one of the most common causes of sight loss. 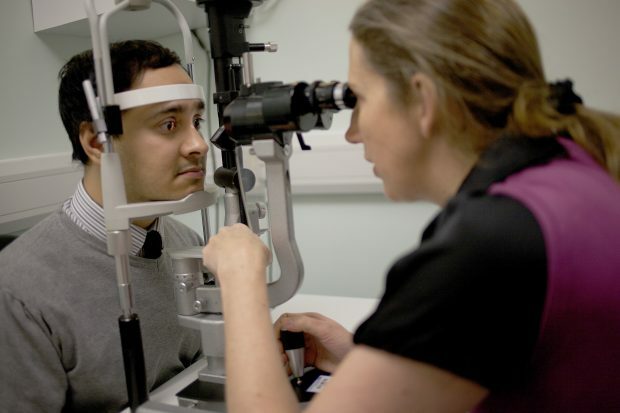 Diabetic eye screening is important as it helps prevent sight loss by detecting the condition early when treatment is effective at reducing or preventing damage. The standard screening test is a digital photograph of the back of the eyes, which an expert then reviews for signs of damage to the retina. However, for some people – about 3% of those invited for screening – we can't get a clear view of the back of the eye using digital photography. For these people we use a different piece of equipment, called a slit lamp. We have now published a new patient information leaflet to explain what is involved in a slit lamp examination. We've developed the new leaflet with input from local services, patient representatives and QA. It is initially available to download only on GOV.UK. However, in the next few weeks it will be added to the leaflets that local services can order free of charge through our print supplier Harlow to send out with slit lamp screening invitations/appointments. We anticipate that local services will need to order the slit lamp leaflet in similar quantities to the national surveillance and referral leaflet.